According to the Medicine Cards the lizard represents Dreaming. I connected so strongly to this message that over 20 years ago I honored the lizard permanently on my skin. A tiny lizard tattoo lives quietly on my shoulder. Dreams live in the shadows, in the future. 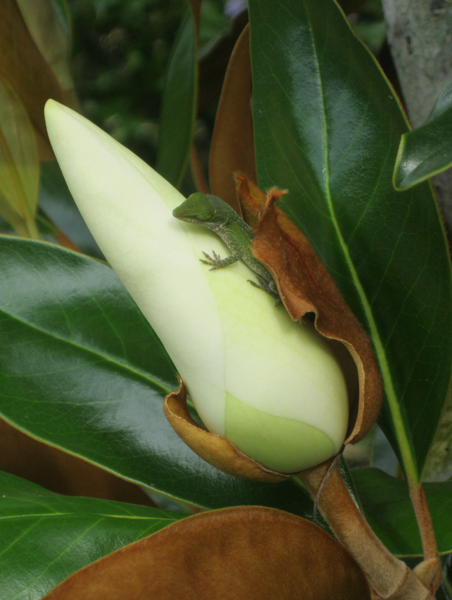 Lizard medicine allows us to review our dreams before deciding to manifest them into physical reality. Lizard medicine people help us see the shadow side of things, our fears and what we are resisting, as well as our hopes. I believe, I am secretly a Lizard person. There are times during a conversation I can see exactly what is holding someone back. I know on some level what they are afraid of and how it is manifesting itself as a distraction to their true work, their true self. And while, at times I feel adept at recognizing this valuable information in others I often fail to see it in myself. Or to believe it. If I believe something is blocking me from my truest expression of me and I choose not to remove it, I must perceive it as protection. A shield to my vulnerability. Because that’s what we’re protecting. All of us. But it’s just another distraction. From the thought, the true work, the future me. If my authentic self is always living in the future, it makes the present me safe behind the veil. The work is to filet the soul, lay it bare, allow the critics to pick over it, take what they want, spin it into stories that help them feel superior, distracted. And those critic? They’re all me. They are the committee in my head that has been appointed to protect the fragility of my essence. They don’t know they are holding me back. They don’t have the ability to discern. They can let go only when I do. The fear that others will judge us is pervasive and damaging. The secret is we’re being judged every single moment in everything we do by another. But remember this, they are judging us against their perception, through their lens. WE. HAVE. NO. CONTROL. OVER. HOW. OTHERS. SEE. US. Pretty freeing, I’d say. Even when we’re doing everything “perfect” someone is finding fault. That’s their reality, not yours. When the critics are done with their work eviscerating and exposing, what is left is what I started with. Love, emotion, creativity, compassion, vulnerability. What is gone is the illusion. 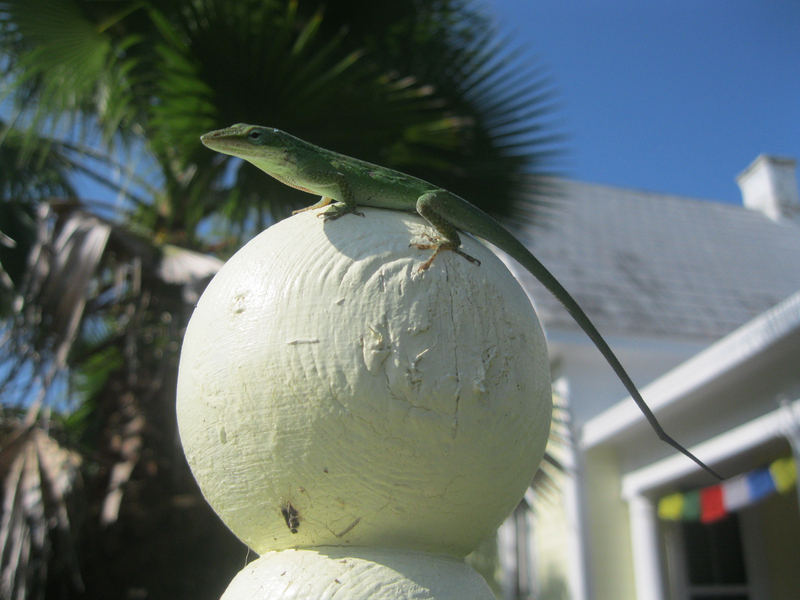 The abundance of lizards in my life, I am in Florida after all, helps to serve as a constant reminder to both dream and to wake up. For it’s in the act of dreaming that I am allowed to soar, to explore without fear the very heights I can reach. To awaken is to bear witness to the dream and manifest the truest parts into being. 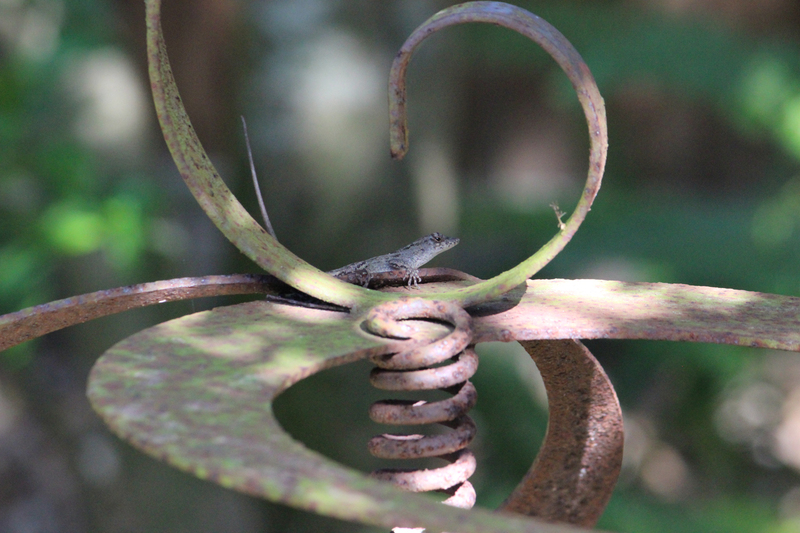 As with all things, Lizard provides a reminder of balance. It is not something we must create so much as allow. It’s on the exhale that we relax. But we cannot do so without first inhaling.